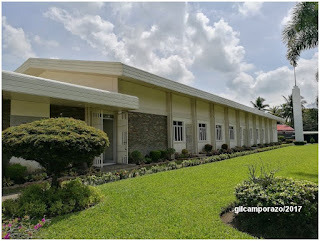 The saints (members), coming from the various branches of La Castellana, Manggapsang, Masville, San Enrique, Ayungon, La Carlota First and La Carlota Second arrived early in the meetinghouse of La Carlota Philippines District for their semi-annual conference. They're transported from their convenient means of transportation. Some travelled as far as Moises Padilla from the south and San Enrique from the west. 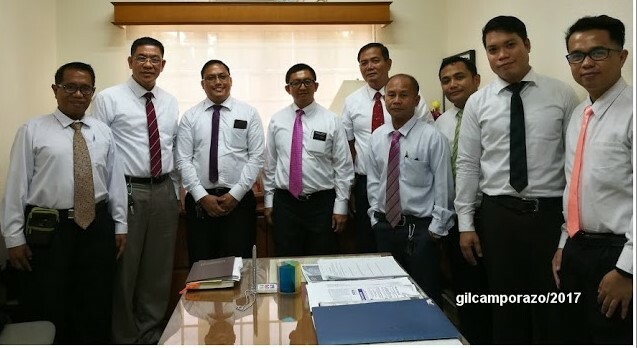 The two-day District Conference of LDS La Carlota was presided by Bacolod Philippines Mission President Christopher A. Barredo. The Saturday Session on Leaderhsip Training and Adult session was conducted by the District First Counselor Zandiv Abonado. 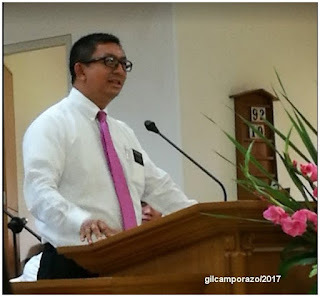 The Sunday Session, a general conference was the District President Mario A. Malacaman. The Mission President's message followed shortly after the congregation sang the intermediate hymn, "We Thank Thee O God for a Prophet". As spiritually matured they kept their ears to the faith-promoting messages from various speakers. President Christopher A. Barredo, Bacolod Philippines Mission, who presided the conference was the last speaker to talk. He held the members' interest for less than 15 minutes by stressing unfeigned God's love as stated in the book of John 3:16, " For God so loved the world, that he gave his only begotten Son, that whosoever believeth in him should not perish, but have everlasting life." "Baptism opens the gate of Celestial Kingdom," reminded President Barredo. He continued telling members that it is not what happened to them (that matters), but on how they react on what happened to them. Thus, he clearly stated on what God's promise: "If you obey God's commandments, you shall have eternal life." "In order for every member to receive the eternal life which is God's greatest gift, they should accomplish three simple things, that is, they must be converted, endowed and sealed" concluded Barredo. Earlier La Carlota District President Mario A. Malacaman pointed out in his message the responsibility of every member in the Church. He told that if everybody would do their respective responsibility as a member, everything would be easy. He reminded them the proper way of using the Church facilities before and after activities. In so doing, he urged everyone to continue and faithfully discharging that responsibility not only as a leader of the Church, not only as member of the Church, but as a parent of their respective children as what the Lord is expecting from them. President Zandiv Abonado, First Counselor of the District Presidency rejoined President Malacaman's point of view by stating to establish a "house, even a house of prayer, a house of fasting, a house of faith, a house of learning, a house of glory, a house of order, a house of God" (D&C 88:119). "For what we believe reflects our way of life, which our friends and neighbors are used to observe us," said President Abonado. He further said that what they do with their missionary work which is based in their faith, it is being tested. As the La Carlota District choir sang the closing hymn, a medley of "Let Us All Press On" and "Called to Serve", I couldn't help my tears from falling especially when the male choir members sang the part of "Let Us All Press On" and the female did the "Called to Serve". I have been a choir member for several years but I have never experienced or sang that particular hymn arrangement. 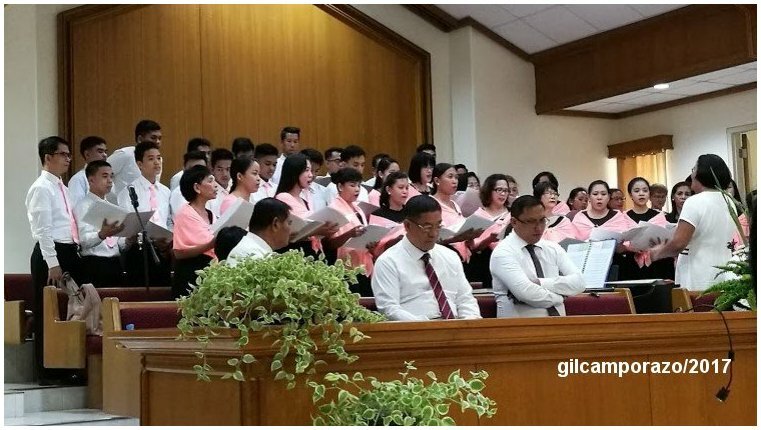 The hymn is rendered by a local group of "angels" in the La Carlota Philippines District. They provided the hymns like "For the Beauty of the Earth" as the opening hymn, special number, "If the Way Be Full of Trial, Weary Not", and the closing hymn, "Let Us All Press On/"Called to Serve Medley". Sounds mesmerizing! Yes, music indeed has the power to touch our souls! Its can be nostalgic and rekindle thousands of memories.. True. Our whatever we believe will manifest in our actions. That's how powerful the mind coupled by faith is. Interesting how members of your church are already called saints here on earth. Is that the meaning of Latter Day Saints? Meaning the members of the Mormon church? In the book of Corinthians, the followers or believers of Jesus are called saints. Thus, we as Mormons are called saints for we became an adopted children of God through baptism. Is that the essence of Mormons being called Latter Day Saints? Interesting the use of the word "adopted" children of God, and not actual children of God. 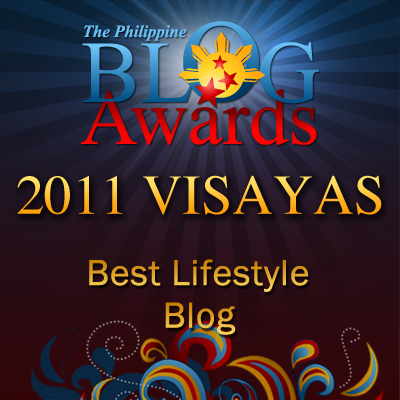 Music is the best inspiration for all.. Great hymm... Lovely medley.. Great way to serve! It's almost always that I cry whenever I'm touched with the lyrics of songs in the church. I haven't heard of the medley in your choir but I'm sure it's really good. Click the word medley. There's a link for it for you to listen to the song. What a great hymn. Music is such an inspirational for of all us, Coz' sometimes our songs expresses what we feel and what is in our heart. Every member of the church can really make a difference. It's nice that a lot of people are inspired through this conference. It's nice that they touched your heart with the flow of the program. It looks like they had a really nice medley to wrap the show. Wow, this sounds like a beautiful event. I'm glad you had a great time. True... Most important responsibility of every parent is to give direction to their kids and if every parent in the world is responsible enough, the world would be a much better place to live in. For some people, music is life. Same with me. By listening to its lyrics, I feel something touches not only my heart but it also touches my soul.